The International Propeller Club of the United States is looking for a new Executive Vice President to lead its Fairfax, Virginia office in early 2019. The International Propeller Club is an international business network dedicated to the promotion of the maritime industry, commerce, and global trade. It has 5,000 members in more than 75 ports around the world who represent a cross-section of the maritime industry. The Propeller Club is ninety-one years old and serves as the premier networking organization of the maritime industry. 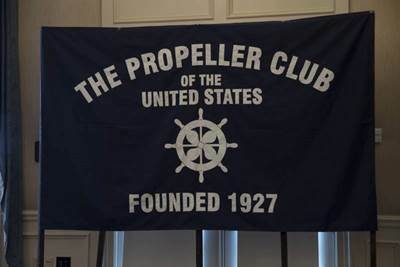 Interested persons may learn more about the Propeller Club at http://www.propellerclub.us and can inquire further about the position and send resumes to International President RADM Joel Whitehead, USCG (Ret) at EVP@propellerclubHQ.com.